5:04 AM Hair, Hair care, Home Remedy., How to, Natural Remedies, Thinning Hair, Treatments. Hair thinning can affect anyone. It is a common problem found in many. Stress, age, a Home Remedies for Thinning Hair in Women can relieves from its Symptomsbad lifestyle, lack or absence of nutritive diet are some of the thinning hair causes. Remedial measures can help stop your hair from thinning further and help you regain hair thickness. As this condition is very much visible to others, thinning hair causes concern, especially among women. In addition, a diet consisting of minerals & vitamins for thinning hair can also help remedy this condition. Use these remedial measures to stop your hair from thinning. 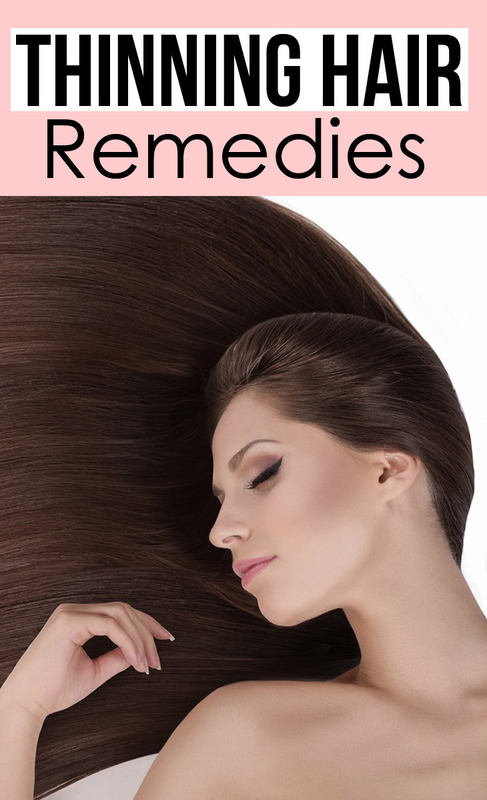 These home and natural remedies are beneficial both for thinning hair in women and men as well. Maintain hygiene of the scalp, keep it clean and healthy. Extract fresh lemon juice and rub some gently on your scalp. Leave it for about twenty minutes following which you wash it off with water. The remedy helps in dandruff removal too. If you experience symptoms of thinning hair, avoid washing hair with hot water, use lukewarm or cool water instead for the purpose. Limit washing your hair to just two times per week and avoid using strong shampoos. Add some pieces of dried Indian gooseberry to boiling coconut oil. When the preparation is tolerably warm, apply in gracious proportions to your hair. Continue this home remedy for thinning hair some time to get positive & beneficial results. For thinning hair in women, fresh aloe vera gel can prove effective. Massage your scalp with aloe vera gel and let it stay for about thirty minutes. Rinse off with warm water. Repeat this remedy thrice per week for positive results. Give a healthy massage to your scalp using pure almond oil. Do this twice or thrice daily to stop the ill effects of symptoms of thinning hair from progressing further. Diet for thinning hair should include foods rich in calcium such as figs, dairy products & sesame seeds. Use a tablespoon each of hot olive oil, honey & cinnamon powder to form into a paste. Apply this paste on the scalp & keep for about fifteen minutes before washing. Consuming class B vitamins for thinning hair is also beneficial. For this, include carrots, tomatoes, spinach, celery, radish & pepper in your diet.